Warnings of Data Paralysis and Context. Good thoughts, in the end it is the operation of a process to get something done better! Or even at all, to create value. Recall that the original term 'Operations Research', also meant this. It’s time to rethink what we mean when talk about “operations.” Operations is not only about manufacturing. Operations is and has always been what gives an organization the power to act: to create value for its customers; to capture value for its shareholders; and to share value with its ecosystem. In the era of ubiquitous digital technologies, operations empowers an increasing variety of organizations, ever more modular, connected, and distributed, ever more centered on software and data. ... "
We did machine learning at Procter & Gamble starting in the mid 80s, and they continue today. This is a nice mostly non tech overview for execs I could have used most any of those years, with anyone interested in learning. via Kirk Borne, piece is from McKinsey. Machine learning is based on algorithms that can learn from data without relying on rules-based programming. It came into its own as a scientific discipline in the late 1990s as steady advances in digitization and cheap computing power enabled data scientists to stop building finished models and instead train computers to do so. The unmanageable volume and complexity of the big data that the world is now swimming in have increased the potential of machine learning—and the need for it. .... "
" ... Databases aren’t for everyone. They’re incredibly complex things to work with, and generally only those with the requisite expertise and training even contemplate doing so. But that might change if Airtable has its way. The startup is aiming to make databases so simple that even those with just basic computer skills will be able to use them. The idea is a simple one – Airtable works like a spreadsheet, but gives users the organizational power that only a database affords. On Monday, the company announced it had secured $7.6 million in series A funding .... "
Simple database systems have been around since the start of personal computing. Its connecting these to working system architecture reliably that can be complex. In Cognition and Culture: Practical, technical and philosophical thoughts. Cultural difference, and no evidence we have cracked the neural memory code of the brain. Pointers to long study of the topic.
" .....Networking kingpin Cisco has moved to capitalise on the opportunities presented by the internet of things (IoT) by launching 15 products under the banner of the Cisco IoT System. Cisco’s own forecasts claim that despite being on course to see 50 billion devices and objects connected to the internet of things by 2020, at present 99% of “things” are not connected. It said the wave of digitisation set to take place over the next five years would introduce unprecedented levels of complexity, and enterprises would struggle to realise the value of the IoT without the application of advanced data analytics and the introduction of ever more intelligent applications. Cisco said its IoT System would address this complexity with an infrastructure that was designed to “manage large-scale systems of diverse endpoints and platforms, and the data deluge they create”. IoT System is based around six technology elements, or pillars, which Cisco sees as critical to the success of the IoT. .... "
A.G. Lafley, Procter & Gamble's CEO, believes that the continual push by retailers for more product innovation is leading to an overload of choices for shoppers. "I don't think the shopper or consumer sees it as innovative — the innovation that matters is the innovation she buys," Mr. Lafley said last week at the Consumer Goods Forum global summit in New York, according to Fortune. His comments came as P&G last August announced plans to shed up to 100 brands to focus on the 80-to-90 percent that generate 95 percent of profits and 90 percent of sales. While looking to create a more profitable and responsive company, the move is also designed to meet the needs of consumers. ... "
I have posted about the GRASP Laboratory here before. In the Alumni magazine.
" ... Last March seven researchers from the University of Pennsylvania landed in Dayton, Ohio for two days of meetings at the Air Force Research Laboratory. The lab, housed on Wright-Patterson Air Force Base, has been home over the years to breakthroughs in everything from lasers to propulsion technology, and the agenda for these meetings was no less forward-looking: to consider ways of engineering fully autonomous flying robots able to work together to search buildings, track targets, and gather information about areas that are too dangerous for US soldiers to enter.
" ... Since coming to Penn, Ghrist has spent a lot of time collaborating with engineers in the General Robotics, Automation, Sensing & Perception, or GRASP, Laboratory. Much of his work there has focused on technology for autonomous vehicles, which, rather than taking commands from a remote human operator, as many drones do, are able navigate an environment completely on their own. This ability is especially useful in places where good maps are lacking and GPS signals are unreliable, like the interior of a building or beneath the ocean. .... "
Just heard from my friend John Reuter. He and his group have developed the Contract Guardian system for intuitive contract management. Suitable for companies large and small. Used by many companies today. We had discussions about how it could be used for both contractual and regulatory compliance problems, and thus manage corporate risk. They have added a number of useful features that I plan to look at more closely. See more about their system.
" ... Clients in 43 States and 9 Countries. The searching, reporting, filtering and overall access of all data and related documents is simply amazing. Access from anywhere, anytime and almost any device including Windows/Mac, Tablets and Smartphone's means we always have immediate access. Security was critical to our decision and clearly Contract Guardian takes contract security very seriously. ... "
" ... Our contract management team has a broad and deep background in the development, support and hosting technology. We always have the contract administrator's experice as a focal point of acceptance. In addition, we have standardized on technology that is common to almost any environment where the contract management solution could be deployed as a private cloud (On premise). ... "
It has been some time since I have used Google Earth for business purposes. But we did make it useful for some interesting applications. Now (Surprise) it is ten years old, and some new features are being added. Specifically to highlight how dynamic geographic data can be in our new sensor laden world. In Engadget. Interesting analytics effort. We are all, in effect, thinking about how to react to events in our enterprise context. Demand is a big example, but not the only one. Response to these events needs to be prioritized. Analytics can do this. The product is being offered as part of the IBM Commerce suite of services, and includes software, consulting and analytics. It's aimed at marketing and IT executives in retail, banking, consumer products and manufacturing industries .... "
I see that our local Costco has recently removed their self checkout systems. That they were doing this has been reported for some time. We experimented with these systems for some years, looking for possible marketing angles. Many retailers continue to add the systems. I asked a Costco checkout person why? They said the primary reasons were to decrease checkout losses, and maintenance costs. The regular checkouts were notably crowded as we approached, a number were unstaffed. We waited about ten minutes. In CWorld: Good to see the space station to be used as a sandbox for this kind of application. Complexity, mobile, wearable, hands free and knowledge intensive. Should learn from this experience. In Wired: Until we take the big step to autonomous driving, You do wonder where all the user interface technology will go. Here a high end BMW adds gesture control to voice. Still not used to generally flapping my hands for interaction. Its the opposite of hands free. An interview in K@W. In the midst of reading this book. Quite a goal, which I agree is difficult.
" ... In their new book The Gamification Toolkit: Dynamics Mechanics, and Components for the Win, Wharton legal studies and business ethics professor Kevin Werbach and Dan Hunter, dean of Australia’s Swinburne Law School, offer new tools for taking gamification to the next level. “The question is identifying the goal and then using the right tools for that objective in the context of your organization. There’s not going to be one right way to do gamification in every case.” ... "
Also, the result can look cheesy and like an attempt to trick the user into engaging. Needs to be very upfront, with the motivations clear. A trend? " ... Following through on a promise to open-source its data analysis software, Pivotal has released the source code that powers its GemFire in-memory database. ... Opening up the code could give enterprise customers more input into what new features are added into future versions. For Pivotal, the move provides an entry to those corporate clients that have adopted policies of using open-source software whenever possible, said Roman Shaposhnik, Pivotal's director of open source. ... "
In McKinsey: Very true, but how do you apply the analytics to understand what you are seeing? The question of R&D’s productivity has long resembled a Gordian knot. Look nearly anyplace else in today’s corporations, and there’s far less difficulty measuring productivity and performance. In manufacturing and logistics, you can get a sense of things just by looking around the production floor, the inventory room, or the loading dock. Even the performance of the advertising budget—once famously opaque—is now, thanks to digital technology, much easier to see. ... "
I have been running a public blog since I was at Procter & Gamble in 2000. It covers advanced digital innovation topics. Often what we were experimenting with, but also a what we were tracking to understand and explore along with our internal and external clients. It formed a place where we parked many issues that were eventually delivered in our innovation centers. The blog continues today, with thousands of old and new followers. Often when I first talk to a company or person I will post a note about their internet presence here, and then follow with more detail. I will sometimes tell a 'complete' story here, but usually only its outline. Connect if you want more. I regret that sometimes old links will not work, I cannot correct them all. The blog covers topics like Commerce, Analytics, AI, Cognition, Knowledge Management and Machine learning. Also how the work being done today relates to our previous work in knowledge management and expert systems. Successes and Failures. Join me in this blog. Suggest areas of interest. I am available to talk, advise , consult or work about anything you see there, independently or as part of a team. Join me in the continued Augmenting and Scaling of our work with new technology, data and technique. In Cisco Blog: On game theory and innovation. Had never thought of this quite this way. Innovation is an industry, though managing it well can be difficult. There is a market for hands free applications, with easy to wear, inobtrusive ways to view supporting knowledge. We tested applications in manufacturing maintenance. So the 'failure' of Google Glass may teach us something about what works and what does not, here an example from Techdirt. Consider VuFine, a wearable display. In Kickstarter. Looking for data-driven business insights? With the integrated Teradata Aster Discovery Platform, organizations attain unmatched competitive advantage by making it faster and easier for a wider group of users to generate powerful, high impact business insights from big data. ... "
A friend is continuing to take a closer look at Microsoft's Power BI, and I am following. A means for doing simple data visualization starting with Excel tables. Good impressions so far, continuing to evolve. Worth a look, An overview comparision. More from expectlabs.com, Professional assistants. This week, MindMeld is thrilled to announce our partnership with the technology company Sense.ly and the launch of an innovative virtual assistant specialized in personal medical care and powered by artificial intelligence. This solution does not come one minute too soon. In the U.S. alone, $3.8 trillion was spent on healthcare in 2014. Half of that unsustainable total is due to patients requiring repeated hospitalizations for the same unmanaged chronic conditions. Physicians agree that consistent medical monitoring and consultation would dramatically reduce costs. Unfortunately, the healthcare industry does not have enough resources to monitor patient health 24 hours per day. .... "
A short piece on the origins of the semantic ontology called Wordnet. Remarkable and free resource to pull help you pull apart aspects of natural language. We used it as a knowledge base for a tag analysis application. ​" ... Amazon throws in $100 million, developer tools to open Echo's Alexa ecosystem ... The technology behind Amazon's Echo is being opened up to developers and third party hardware vendors as the e-commerce giant moves to expand the Alexa ecosystem. ... "
Via Walter Riker. Adds to our examination of other enterprise applications of Echo and other assistants. See the Echo tag below for more about that. Data Lakes in Health care. A significant set of IT benchmarking insights that provide organizations with a point of reference (domestic & global) for important business, technology, sourcing, social, and spending transformations. ... "
" .... Leading-edge digital platforms similarly take center stage in Arne Gast and Raul Lansink’s “Digital hives: Creating a surge around change.” Based on four case studies, the article illustrates how executives can harness the power of social media to engage large and widely dispersed groups of employees by encouraging new ideas and ways of working, driving organizational change, and even helping to formulate better strategy. ... "
In HBR: Local R&D is not enough for global.
" ... In order to expand, digital businesses need to pivot to new and promising growth areas. Often that means making forays into new fields and taking on seemingly intractable business problems. Consider Google’s venture into maps or SAP’s Future Factory initiative, far-reaching projects that required new ideas from different places. The development of new technologies is complex and challenging, and to come up with the next big innovation, businesses must think — and operate — in new ways. ... "
Google Think on the Digital Kitchen. Another clear place for the virtual/personal assistant. Have tested many in that room. But its much more than just about Millennials. Food Hacking, Aligning Micro moments, Using Micro services and more. The value of hands-free modes. Inserting creativity. Lots you can do even before your start leveraging AI. All on my mind recently. See also Virtual Personal Assistants. In Wikipedia. Friend Dean DeBiase on the future of travel. " ... At the latest installation of my Reboot Stories, at the ÄKTA Innovation Series in Chicago, I had a chance to conduct another no-holds-barred interview in front of a live audience,with Tom O’Toole, SVP, Chief Marketing Officer and President, MileagePlus. I engaged Tom in a candid conversation about the “Future of Travel,” specifically how United’s mobile strategies will dramatically change customer experience at home or work, on the plane, and at the airport. Here’s a teaser about what we learned from Tom: ... "
In Engadget: An example of how the IFTTT automation method is used and shared. " ... IFTTT's automation app can watch your Android phone's battery ... ". . Based on the addition of a battery channel as data. See the method described at the tag below. Will we see more of this kind of advertising blocking, coming from a change in our definition of privacy? And will that privacy then be enforced by the operating system? Where is the line between information delivery and privacy intrusion drawn? Saw this same question asked when the only dynamic advertising was on TV and Radio. Will an answer be ready? As Part of a User Privacy Initiative, Apple just made it a lot harder to place advertising in mobile Apps. .... Apple is making big, privacy-friendly changes to the way iPhone and iPad apps work—and many developers probably won’t like them. The Information reported today that Apple is taking steps to prevent app developers from accessing data generated by other apps. This data is used to target ads shown to users by major apps like Twitter, as well as tens of thousands of less popular products. ... "
The O'Reilly Data Show Podcast: Phil Liu on the evolution of metric monitoring tools and cloud computing. .... "
In Mediapost: Not that private labels are decreasing in share, but their growth compared to national brands is slowing. Interesting numbers provided. Was involved in the analysis of some of these kinds of numbers in CPG. In CWorld: New sensors and new opportunities for analytics.
" ... Google has created a health-tracking wristband that could give health care professionals real-time information on the well-being of their patients. The wearable can measure a patient's pulse, activity level, skin temperature and heartbeat rhythm. It's also able to monitor light levels and light exposure. This data could be used to learn more about patient behavior outside of the hospital and better treat ailments, Google said Tuesday. For example, data showing that a person isn't moving around frequently or spending limited time outdoors could indicate illness, Google said. Don't expect to use the device to track sleeping patterns or count steps. Unlike consumer-focused health and fitness wearables and smartwatches, Google's "cardiac and activity sensor" device is designed for medical settings, the company said. ..."
Brought to my attention The GIIM. Slides from a GIIM talk by Jerry Luftman on IT Trends and Service Management, can be found here. The objective of the Global Institute for IT Management (GIIM) is to impart a complete, flexible, and immediately actionable set of best practices by an international group of over 250 prominent academics, practitioners, and management consultants, to prepare IT thought leaders and business executives for the challenges and opportunities that lie ahead. The institute provides a comprehensive set of 32 IT management certificates, with each frequently considered as being the single most important educational experience in the attendees’ professional life.Institute Objective ... "
Nice idea, examining further. Experiences? We experimented with similar ideas using Mechanical Turk. More will follow here. The CrowdTruth framework supports the composition of CrowdTruth gathering workﬂows, where a sequence of micro-annotation tasks can be configured and sent out to a number of crowdsourcing platforms (e.g. CrowdFlower and Amazon Mechanical Turk) and applications (e.g. Expert annotation game Dr. Detective). The CrowdTruth framework has a special focus on micro-tasks for knowledge extraction in medical text (e.g. medical documents, from various sources such as Wikipedia articles or patient case reports). The main steps involved in the CrowdTruth workﬂow are: (1) exploring & processing of input data, (2) collecting of annotation data, and (3) applying disagreement analytics on the results. These steps are realised in an automatic end-to-end workﬂow, that can support a continuous collection of high quality gold standard data with feedback loop to all steps of the process. Have a look at our presentations and papers for more details on the research. 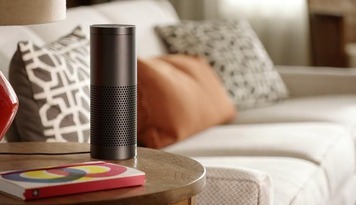 ... "
I see that Amazon Echo will start to be generally available, starting on July 14. More here. I have reviewed my early experience during its beta in this blog, see the Echo tag below. Note its connection to smart home applications. Hands-free, always-on, music, information and home voice interaction. Updated from the cloud. Thank you for being a valued connection here on LinkedIn, and I've got news of a new radio program that may be of special interest to you. It's called Big Beacon Radio--Transforming Higher Education, and the show airs on Sundays at 1pm, ET, and is available on podcast( http://bit.ly/1c5v5fP) and iTunes (http://apple.co/1Gr2vD) as well. Each month, I have different themes and guests, and I hope you'll take a mnute to listen to the program. If you have ideas for a show theme or guest, please send those thoughts to me on LinkedIn or email (deg@bigbeacon.org). I hope you'll tune in and share Big Beacon Radio with your collegues and friends. Just got a copy of this AI Watson recipe App. worth a look. Here reported on by the BBC. I was a beta user of the original Chef Watson, and liked the idea, see the tag link below for more. The basic idea could be used as a template for other service and planning delivery ideas. Plan to use this App for an upcoming event, and report on the experience. In CIO. Now as back then, linking data transparency to analytics is key. To stay competitive, “retailers need to know where things are at all times so they can redirect shipments, rebalance inventories and respond to new demands on the fly,” says Rich Becks, general manager, Industry Value Chains, E2open, which delivers cloud-based supply chain collaboration solutions. And if there is a problem with their supply chain, and they can’t get products to stores and/or consumers, retailers (and their suppliers) risk losing customers. ... "
Today, we’re excited to announce the availability of IBM Insights for Twitter service on Bluemix. Developers can now take advantage of the collective intelligence of hundreds of millions of people to create unique, social media applications quickly and easily, directly in the IBM Bluemix environment. The service enriches tweets, based on deep natural language processing algorithms from IBM Social Media Analytics. Real-time processing of Twitter data streams is fully supported; configurable through a rich set of query parameters and keywords. .... "
Software containers are poised to do the same thing for the web that shipping containers did for logistics. They make it far easier to move applications from the individual laptops and workstations where they are coded to the vast clusters of computers that serve those applications to customers. Now, a who’s who of tech companies, including Amazon, Google and Microsoft, have formed a new organization called the Open Container Project to create an open source standard for software containers. .... "
Google's artificial neural network can recognise images, but it can also create them -- and results are some trippy business. ... "
Have seen this idea, can we create images and faces that get particular reactions from human and artificial neural networks? Martyn Jones posts some thought provoking Big Data facts and myths in DSC. Worth considering, especially how it relates to more traditional methods. Considerable value, but not magic. From CACM and The Wall Street Journal Interesting numbers on job replacement. Upsetting the financial support for the modern internet? In Mashable: Apple's new Safari will let you block ads, which makes some people happy and some people very scared .... "
" .... The move, announced by the company Monday, follows the hiring of about 20 people for a new technology center in San Francisco to improve and extend a University of California at Berkeley-developed free software project named Spark, which lets people analyze large amounts of data more rapidly than with other technologies such as Hadoop. Bloomberg reported the creation of the technology center last week. Smith said that over time she expects the center to grow to 300 people, along with other teams in the company’s laboratories around the world. As part of the effort, IBM will make a research project named SystemML free. This lets people spot patterns in data via a technology called machine learning, on top of Spark. It bears similarities to a project called MLlib, which is backed by DataBricks Inc., a Spark-focused company spun out of Berkeley by some of the academics behind the project. .... "
" ... IBM recently announced the results of a study that found a massive perception gap between how well businesses think they are marketing and the actual customer’s experience. The U.S. study, developed by Econsultancy, found that almost 90 percent of marketers agree that personalizing the customer experience is critical to their success. Despite this widespread agreement, nearly 80 percent of consumers stated that the average brand doesn’t understand them as an individual. ... "
Data paralysis is a key issue. Data correctness and being up to date and remaining in context is also important. I always make a detailed statement of these issues, and how often they need need to be reviewed. Now 6 months after request I have an installed Amazon echo called Alexa in the kitchen. A smart Pringles can. Requires Wifi and AC. Fairly easy to install, but has some Wifi requirements you may not have. It's most easily described as a voice activated, hands free music player. Fairly good sound quality in small to medium size room. Very Siri like, but you don't have to find the phone. Nicely done. Also connects to many other services, Like iHeartRadio, Pandora, Tunein and Audible. usually ones that do not require a screen, since it has none. But it can send info, and records choices on an associated phone App. Sometimes inconsistent in what it finds in media. I can say "Alexa ... add broccoli to my shopping list" and it will. Not many interpretation errors yet ... It's newly placed on the kitchen shelf, always listening. (?) Little apparent personalization, but you can say some things to it and get responses that make it seem 'human'. You can't buy it directly yet, but can get on the beta list. Walter Riker is the only other person I know who has one. Recall I started musing about possible non home applications. Office, Hospital? Any ideas? Your innovative ideas are appreciated. More on the Amazon Echo. Much talked for loyalty, or online. Beyond that in Brick and Mortar? We built some test models for experimentation for engagement interaction. How does this change if pricing and checkout moves to the aisle?
" ... According to the author, grocers probably won't deploy personalized pricing at the point-of-sale for every item to each customer any time soon. But the technology is there and the strategy is in practice — in fact it pretty much copies the targeted-offer tactic that Amazon.com has made an art of delivering. Do you see digital coupons and online ordering paving the way to more personalized pricing options for retailers? ... "
" ... In “How to Fly a Horse” by Kevin Ashton (http://www.amazon.com/How-Fly-Horse-Invention-Discovery/dp/0385538596 ) we learn that Kevin coined the phrase “Internet of Things” (IoT) in 1999 when he was trying to present a solution to the problem of tracking the sales of lipsticks. Kevin worked at Procter & Gamble and the misplacement of lipsticks in the display case was causing a sales issue when the required color was in stock, on the display, but in the wrong place and not easily found. Kevin put an RFID tag in the lipstick and an antenna under each location, monitored the display unit, uploaded the information to the internet and used it to make decisions about the actual sales stock position. Since then the term has been broadened to include almost anything that is in some way connected to the Internet and is providing information that can be used. The term has almost become a part of everyday use, though it seems the understanding of the term has morphed. In 2013 the Oxford English Dictionary included a definition for the IoT – “The interconnection via the Internet of computing devices embedded in everyday objects, enabling them to send and receive data” (http://www.oxforddictionaries.com/us/definition/american_english/Internet-of-things ). While this definition is fine, it does not capture the real essence of the concept. ... "
A nicely done overview of industry news about Product Lifecycle Management (PLM), put out by the CIMdata group. Subscribe. Have started to cover PLM news as it relates to my own technology innovation interests. Pass along anything you would like covered. What is behind retail's $1.1 trillion inventory losses? Retail research house IHL in June estimated an industrywide loss of $1.1 trillion. But IHL is not limiting itself to traditional metrics. .... "
In the Atlantic, " ... Augmented-reality systems could edge out virtual reality and re-imagine human perception in the process. ... " A topic of continuing interest. Is it easier to overlay a reality on our own reality, or create one from scratch? Note Apple's recent acquisition of Metaio, Microsoft's Hololens. Google's VR, Big players are serious about this. At home and at work. The topic reminded me the animation technique called rotoscoping that uses real world images to create an artificial world. Could the deeper blending of realities be appropriate? In AdAge: The dilemma of the 'free Internet'. " ... Ad Blocking Is a Growing Problem. What's the Fix? ... Publishers Including CBS Interactive, Forbes, DailyMail Weigh Their Options ... " ' ... With 28% of U.S. internet users estimated to use ad blockers, publishers like CBS Interactive, Forbes and DailyMail weigh what to do. ... "
BiCorner on all things data. Some good topics. It is all about data. By Jeffrey Strickland.
" ... Data Scientist, Analytic Scientist, Statistician, Operation Research Analyst, Predictive Modeler, … They are all very different… or are they? We often focus on differences to delineate our profession and what we can bring to the analytical table to feast upon. Yes there are differences, but let’s try something novel. Let’s focus on the similarities. What do we all have in common? Data! Is it a surprise that the Administration has appointed a Chief Data Scientist (congratulation Dr. Patil), or is it more surprising that it took so long? Everyone else has a chief data scientist or a “chief someone who uses data to do good stuff with”. After all, it doesn’t really matter that you have a bunch of data, or that you have a fancy title. What matters is whether you can turn that data into useful information that is used and results in making the business, the industry, the government and/or the country better off tomorrow than it was yesterday. ... "
The analytics giant SAS, long our standard in the enterprise, decides to take a hand in automating data science, In CWorld. How will this change the role of the data scientist? Note the emphasis on speed. Accuracy? Much more on this topic in tag below.
" .... SAS wants to supercharge your business analysis, through new software that automatically builds multiple models of data and picks those that best predict future events. With a customer base of over 75,000 organizations, SAS has long been known for its advanced statistical analysis software. With this new offering, called SAS Factory Miner, the company is trying to go one step further to help its customers, by generating models for their data. ... "
" ... As organizations look to use analytics to better meet their customers needs, there is an increasing attention being given to building deep analytics offerings within core data. Add that trend to an industry that is facing very real challenges, and you have the rationale for an interesting acquisition that has just been announced. Air New Zealand and Aimia are acquiring the small New Zealand based analytics company 11Ants. Let’s look at the players in this. ... "
" ... Schahram Dusdar gave a very interesting presentation today on "Elastic Cognitive Computing" as part of our Cognitive Systems Institute Speaker Series. Please continue the conversation here with Schahram, who's published works are posted here: dsg.tuwien.ac.at To listen to a recording of Schahram's talk today, .... Slides. How people, software and things can be connected with 'elastic computing', A means of flexible and adaptive interaction? A term I had not heard of. A way to think about elements that need to be connected in new ways. Researching this more with some of the references posted here. See the WP definition of elastic computing, relating it to cloud computing, or needing elastic resources. But I am seeing it beyond just adaptable resources in the cloud. In the enterprise we used Myers-Briggs personality testing. It was always cautioned that the method was not precise, and at best allowed us to understand that there were definable differences between people. Adjustments in management style might be called for. A Wired article on the topic. The article makes the most sense if you know something about Myers-Briggs. In Datafloq: How to Improve Customer Experience by Quantifying Multichannel Issues? In the WSJ Blog: Security professionals and visualization tools. Startup innovation Space. Recently mentioned in the funding of Glimr.
" ... Collaborate, Experiment, Pioneer. At Unilever Foundry we are on a mission to collaborate with innovators to make sustainable living commonplace whether your're an established startup ready to scale-up, a creative designer or inventor, there are many ways for us to work together. Are you ready to join the Foundry? ... "
'... Like most pharmaceutical companies, Merck has struggled in recent years with regulatory pressures and new technologies. To stay competitive, the firm is seeking to implement a "lean-startup software ethic" while establishing repeatable processes that can keep new ideas flowing. "Change and innovation are choices, not givens, in any organization, and there are managerial levers for making these selections wisely," write Frank Cespedes, Jay Galeota and Michael Wong ... "
Not sure I complete agree, or that I agree that AI requires speaking. Most of the AI I have done is about augmenting with AI, mot necessarily needing to speak it, but to delivery in anyway that is useful. Was Chomsky responsible? Net, I say no. Until now you have been able to pick and choose in the world of Apps, hardware and services to help do your job. The typical challenge has been between Google and Apple. Google Now and Siri for asking questions, searching and notification. You could typically mix and match the service provider to suit your needs. Now this article suggests that further improvement will require more focused integration and thus less choice. Will this happen in all advisory systems? How can cooperation be preserved? With a set of standards for advisory protocols?
" ... Designers have a crucial role in how this shakes out. As opposed to merely looking at products in terms of efficiency or profit, designers are trained, at least theoretically, to be sensitive to a broader spectrum of issues. They’re the ones who are supposed to think about how products fit into our lives and society at large. And more and more, they’re in a position to bring those considerations to bear on how a product is developed. In territory as vast, lucrative, and unknown as the Internet of Things (IoT), that’s a hugely important responsibility. Thankfully, some designers already are thinking hard about the job and the potential pitfalls of designing for our newly connected world. ... "
" ... Nash’s body of work in game theory earned him the 1994 Nobel Prize in Economic Sciences along with game theorists Reinhard Selten and John Harsanyi. He became a household name thanks to the 2001 film A Beautiful Mind. Based on the book by Sylvia Nasar, the movie — which won the Academy Award for Best Picture — stars Russell Crowe as Nash and depicts his battles with paranoid schizophrenia. Wharton management professors Keith W. Weigelt and Louis A. Thomas, who count game theory among their research specialties, discussed why Nash’s work will endure on the Knowledge@Wharton show on Wharton Business Radio on SiriusXM channel 111. (Listen to the podcast at the top of this page.) ... "
A long time challenge. Blogs like this were an early example of feeding wikimedia sharing devices in the enterprise. Gamification methods were also examined. Standards and ontologies were developed. In APQC. In TechCrunch: Facebook: More than just identifying faces, using information in social to create a number of alternative models and link them to engagement and value. AI is back. When navigating to a place we would like to have enough information to use that place before we spend the effort to get there. What is more important than knowing a place is open for business when we arrive? In essence augmented reality, or key information about a place. Google maps plans to have this in place. I recall a previous effort that included inventory information about places as well. But have never seen that implemented in places I mapped or visited. What other information is key? In Mashable. How about in hospitality applications? First we had IBM Watson Analytics, then Microsoft launched Azure Machine Learning. With last week’s launch of Amazon Machine Learning, the e-commerce giant is the latest tech giant to attempt to democratize the development and use of machine learning models and make the technology useful to people who aren’t data scientists. In the WSJ: IBM ... has thrown its weight behind Spark, an increasingly popular tool that is used to analyze large amounts of data in real time. Spark opens up all sorts of emerging business applications, such as the ability to quickly target ads toward people passing in front of a digital billboard. The number of such uses is expected to greatly expand as Internet-connected sensors become pervasive in physical objects, a phenomenon known as the Internet of Things. By working to push Spark into the mainstream now, IBM hopes to catch an emerging market at the very early stages. ... "
See the tag link Spark below for more notes on Apache Spark use, including introductory posts. Also looking forward to see how this can be closely linked to Watson cognitive efforts. Note also the mention of real time retail interactions like in-store displays or smartphones. In Retailwire: More on retailers and omni channel via the cloud. In Engadget: It has been suggested that you could understand what a company was doing by tracking what they searched for in a public place like the Wikipedia. Now they are default encrypting that traffic, making it more difficult to do. " .... The initiative should also make it at least a bit tougher for censorship-happy governments to block inconvenient facts. Encryption isn't new on the organization's sites (you've had a manual HTTPS option since 2011), but this always-on policy means that you never have to think about it .... ". Comments suggest it provides little additional security against the determined. Open source has been a long time interest of mine, both for enterprise needs and personally. Just reviewed some of my links and writings on open source software and methods and decided to pass them along. Here is the tag link for open source. In Gartner: Internet of Things will dwarf big data. Since the IOT will be a major source of data, this is not much of a big difference. Some of the statements about what the IOT is are too restrictive. Customers and crowds are already part of the same internet. In the New Yorker. Google subsidiary, social driving App Waze is sharing its data with Los Angeles. Data driving and pattern improvement and intelligence. How is this like Bentham's Panopticon? What are the implications?
" .... The L.A.-Waze partnership is, at least in theory, an initial step toward allowing the city’s planners and engineers to regain a healthier role in mediating the kinds of longstanding cross-town conflicts that Waze has renewed and amplified. Whether the deal will help to resolve fundamental long-term issues related to the city’s growth and inadequate infrastructure is another matter. It’s even still up for question whether improved data-sharing will improve conditions in the short run. 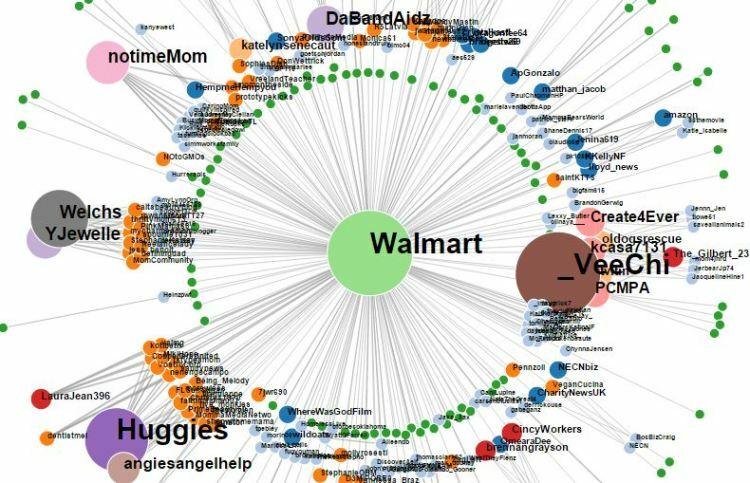 .. "
A survey of open source data visualization tools, most of which I have never yet heard of.
" Boosting the creativity and productivity of people in smart service systems"
Talk at the Naples Forum: Slides. Service science and advisory systems will be a key launching point for new kinds of cognitive AI systems. These and many related topics have are being discussed in this blog. Live and ready, just updated, DSC's online apprenticeship. Have scanned their work and it seems to be well done. Impressed by the work that DSC has done providing information about data science topics in general. Worth a look, Get started here.
" ... This is an ideal program for professionals with a quantitative background and some industry experience - in a nutshell, for anyone who understands our cheat sheet and can get started using it. This program is for self-learners. Completed projects, submitted to and reviewed by Dr. Vincent Granville, will be featured, published, and promoted on our network, reaching out to the largest audience of data science decision makers, peers and hiring managers. Examples of such projects can be found here and here. Ideal for people who want to change career paths, consultants, people managing data scientists, or students starting an analytic degree. In short, the easy way to become a data scientist for educated self-learners. Free from unnecessary advanced matrix algebra or obscure, confusing, misused stats developed before the era of computers (p-value, GLM, model-based predictive analytics). Instead focusing on building automated, black-box, simple, scalable, efficient, robust, high ROI solutions for many modern applications (API's, machine-to-machine communications and real time), leveraging distributed architectures as needed, and using a unified cross-disciplinary approach. Applications: IoT, digital (mobile) and web data, marketing, risk management, operations research, finance, bioinformatics, healthcare, environmental data science, engineering, business analytics, model-free predictive analytics, business optimization, big data and more. .... "
In Cincinnati Enquirer: " ... Clicks to ease trips at Liberty Township Kroger ... Some long-time Kroger's customers say clicks beat old-fashioned shopping trips and they are eager for the supermarket's expanded online shopping service. Shoppers at the Liberty Township Kroger Market Place store, which is the first in the region to offer expanded "click and collect" service, say they are ready to stroke their computer keyboards rather than stroll store aisles. 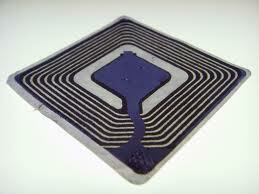 .... "
Via Retailwire: Retailers increasing ability to ID the shopper. The discussion comments at the link are also interesting. " .... If you have a smartphone in five years, there's a really good chance stores are going to know a lot about you as soon as you make your entrance. In fact, according to a new report by Boston Retail Partners (BRP), nearly two-thirds of retailers (883 percent higher than at present) will identify customers in that way. ... "
In Adage: Interesting perspective ... The world is moving quickly, so understanding what may be next is useful. Four Big Opportunities for Agencies and Brands in the Next Wave of Digital ... by Brandon Geary, chief strategy officer at Possible, Seattle. In the APQC Blog, fixing the process. But even more important, do you understand it, and are you ready to fix it? Can Collaborative Innovation and Technology Accelerate and Lower the Cost of Innovation? In CIMdata's Linkedin Group: My former colleague writes. I experienced a strategic “innovation” transformation when I worked in Procter & Gamble’s (P&G) diaper business between 1996 and 2007. In my first assignment the name of the business was “Diaper Category,” later it became “Baby Care.” This was an indication of a significant change in the business strategy—the focus was no longer only on the product (the diaper) but also on the job-to-be done (caring for the baby.) ... " (Read the rest for detail and discussion). Podcast and text, interesting thoughts. In McKinsey: Has been a while since I have worked with this technique, some good ideas and hints to make it useful. Not the same thing as Business Process Modeling, but some of the suggestions are similar. I would like to hear of examples where they have been used together and produced real value. When scenario planning has worked well, it has proved enormously useful to a wide range of organizations as a tool for making decisions under uncertainty. First popularized by Shell in the early 1970s, the approach should be a natural complement to other ways of developing strategy—especially when executives are as concerned about geopolitical dynamics as many are today. It would probably be more widely used if it hadn’t been such a disappointment to many executives. In fact, 40 percent of those we surveyed in 2013 described it as having little effectiveness. ... "
This makes much sense. Marketing as a whole is a kind of prediction with considerable risk. Anything that can be done to improve your accuracy is of value. Taking analytics to the next stage, providing prescriptive advice, is also expanding. Advisory systems based on data and cognitive interaction. Expect continuing value. Addressing the angry customer with AI? Have investigated this in the past with advisory systems. People do react to systems differently than people. Possible yes, see hints at this in our Mr. Clean effort, link in tag below.
" ... Despite the fact that 85 percent of American household needs are consistently filled with the same 150 items1, new product innovation is the lifeblood of the CPG industry. But bringing to market successful new products is no easy task. While estimates vary, generally accepted new product failure rates range from 60 to 80 percent of launches within the industry. .. "
From DSC, by Martyn Jones. I add: Not a bad selection of warnings and cautions of the use and use of Big Data. Similar things could have been said about many residents of the hype-cycle over the years. I know, I have ridden a number of them. Bottom line, Big Data is a combination of data availability, Stat/Math Analytics and Business Decision Understanding. All logically combined and delivered, and with some previous limitations of computing and connectivity removed. It is certainly not magic, or even a science. Its a process that has both great potential value, and risks. In Cincinnati, A good example of how bricks retailers are testing shop online and pickup grocery shopping. For Kroger pickup is only at one store so far. The demographics would be interesting, and link to loyalty propositions. In TechDirt: Consider this an extension of the IOT: smaller and smaller visual sensors connected to systems that can quickly analyze what they are looking at. Counting, tracking, identifying. Sensing signals, establishing connections. One way sensory analysis. Lenhart Schubert from the University of Rochester, presented "From Semantic Parsing to Reasoning." ... Slides here. This presentation is quite technical, but also gives an excellent non technical introduction to the current state of the art and continued deep challenges in knowledge based text understanding. Points to some excellent examples of work underway and tools like KNext and WordNet. We used these for some consumer engagement applications, without attempting to solve the very deep underlying problem. ... sign up for making a presentation by sending a note to (fodell@us.ibm.com). The format for these calls is 20-25 minutes by the presenter on work he/she is doing in Cognitive Computing or Cognitive Systems, followed by 5-10 minutes of questions and answers. A link to slides (if used) and a recording of each call will be available on the CSIG website (http://cognitive-science.info/community/weekly-update/). This week is all about shaking off old perceptions, and building anew. So I’ll say it – set-tops are not what they used to be. They will continue to transform dramatically. The Connected Home is evolving to gateways. Allow me to explain. Think of a home with three HDTVs. Servicing all three used to mean using three, full-featured set-tops. Modern set-tops (themselves morphing toward gateways) enable a service provider to put in one main set-top, which feeds video over IP to client boxes, which are much smaller and less expensive. Instead of three full-featured set-tops, one, connected to as many smaller, more cost-effective clients as there are big screens to feed. ... "
Last year discussed analytics with an energy services company. With energy demands rising and reserves of oil and gas becoming more challenging to access, the productivity revolution promoted by the Industrial Internet is of vital importance to the oil and gas sector. By combining decades of manufacturing expertise with its rapidly expanding software engineering capability, GE is leading the big data revolution so that its customers can operate both more effectively and efficiently. The Industrial Internet drives improved business outcomes for customers by harvesting the vast quantities of data produced by the GE machines they have installed, such as jet engines and MRI scanners, and feeding this into advanced analytical systems. By analyzing the data it is possible to pursue the ‘power of one percent’, a GE term which states that efficiencies of only one percent can make a dramatic impact across the $32.3 trillion of relevant sectors. ... "
What looks to be a more generalized robotic solution for warehouse tasks. For example, for IT departments, SAP unveiled an IT Operations Analytics tool that's designed to help manage modern data centers. Announced on a conference call about analytics for the SAP community, the new offering aims to show what's happening all across a data center, including real-time streaming of log data and the ability to combine diverse data sources into a single view for easier root-cause analysis.... "
Scientists at the University of Bristol have developed robotic pants with built-in artificial muscles designed to aid the elderly or people with disabilities. The soft robotic clothing gives users added strength and balance to prevent falls and let them move around more easily. The material also can give users bionic strength, helping them stand up, climb stairs, and walk more steadily. ... "
Having a secure network is vital in today’s digital landscape and with so many headlines about data breaches and identity theft, security is of the utmost importance. For some companies, this loss of information to the often unknown hacker is a huge embarrassment and can lead to enormous losses in sales and widespread consumer mistrust. ... "
In Fortune. It's the largest company in the world, and a number of other fun numbers of impressive scale. Ending with: " .... It hasn’t grown nearly as much as Amazon. In the last three years, Walmart’s sales grew by a total of 8.6%. Revenue at Amazon, meanwhile, has nearly doubled.... "
In CWorld: Six foot tall robots, not really human-like android, more like large vacuum cleaners. Possibly scaring the Tesco shoppers? At least this could open shoppers to the expectation of having roving robotics in the aisles. Vendor is RFSpot.
" ... As Tesco clothing shoppers rifle through the chain's apparel assortment, they'll be sharing the aisles with six-foot-tall RFID robots, rolling up and down scanning clothing tags for inventory. F&F, which is the name of the apparel unit of Tesco, the world's second-largest retailer by revenue, is running the robots as part of a five-store trial. Officially called RFspot Pro and nicknamed Robbie by the F&F team, the robots roam the floor, continually scanning tens of thousands of passive UHF EPC Gen2 tags, strolling up the aisles at about one meter/second on three sets of wheels, reading tags from as many as 30 feet away. ... "
In ReadWrite: Comparison to other efforts about augmented reality at Microsoft and Google. Metaio brings in a clear maturity in the space, with applications in retail and with automakers. Impressed with my conversations with them. Have experimented with their smartphone navigation App.
" ... Metaio began as a project inside Volkswagen in 2003 to build a platform for augmented-reality experiences. It later spun out of the German automaker. One of the projects the firm has worked on in the past is a showroom app for Ferrari that lets users overlay various virtual graphics on top of the cars in front of them. ... "
In The NY Times: Registration. Interesting comparisions and numbers between Amazon and Wal-Mart. " ... Walmart, Lagging in Online Sales, Is Strengthening E-Commerce ... In the world of brick and mortar, Walmart is a titan, ringing up more than $1 billion of sales a day. But in the online world, the retailer’s business, while growing, remains far behind Amazon. With less than one-sixth the online sales of Amazon, Walmart has been repeatedly outgunned and outsmarted by Amazon’s price-matching, robot-utilizing, competition-crushing machine. ... "
EVRYTHNG is the award-winning IoT cloud platform that connects any consumer product to the Web and manages real-time data to drive applications. Smart products don’t just deliver connected experiences and support services, they share data with enterprise systems and other device clouds for smarter ROI .... "
The Internet of Things has promised to turn our everyday interactions with stuff into data for logistical and marketing applications. But now that more and more corporations, including Diageo and Mondelez, have tested actual web-connected products in the market, the industry is approaching the next stage of connected appliances and food packaging. That means figuring out where all that information will go and how it will be used. IoT platform company Evrythng sees a home for data generated by connected thermostats, bottles of booze, designer handbags and washing machines in first-party marketing databases.... "
A new realm of marketing and retail transparency? We looked at a number of web connected packages, displays, shelves, kitchens, rooms and appliances.